In various part of world including Africa still mud wall is serving as building component. We, here, will discuss about African technologies to stabilize soil for protecting mud wall. We will discuss about traditional materials more accurately natural materials as stabilizing agent. The materials have range from plant extract to cow dung. They are mixed with soil to render mud wall and purpose of treatment is to provide water resistance. We will discuss about the country like Ghana, Upper Volta, Nigeria, Sudan and Ethiopia etc. As stabilizer, an extract from boiled banana stems is mixed with soil. This technique is observed in the northern Ghana where lateritic soil is usually treated in this way. 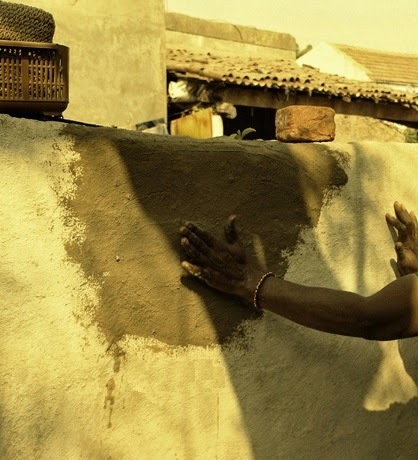 A varnish is provided to mud wall which is extracted from a plant local name is ‘am’. The present name of Republic of Volta is Burkina Faso. The country banks at upper part of Volta River which was colony of French community. In northern part of Nigeria, extract collected form vine (Vitis pallida) used as stabilizer for water proof mud. The local name of the plant is dafara. This is made of fruit pod from tree of lowest bean and serve as water proofing agent. In Sudan mud houses known as ‘Jaloos’ are treated by water proofing materials produced locally from horse or cow dung. The local name of this is ‘Zibla’. Since biblical period, straw is using in this purposes with mud. Straw is used to mix with soil paste having local name chika. They prefer straw of maize known as chid.